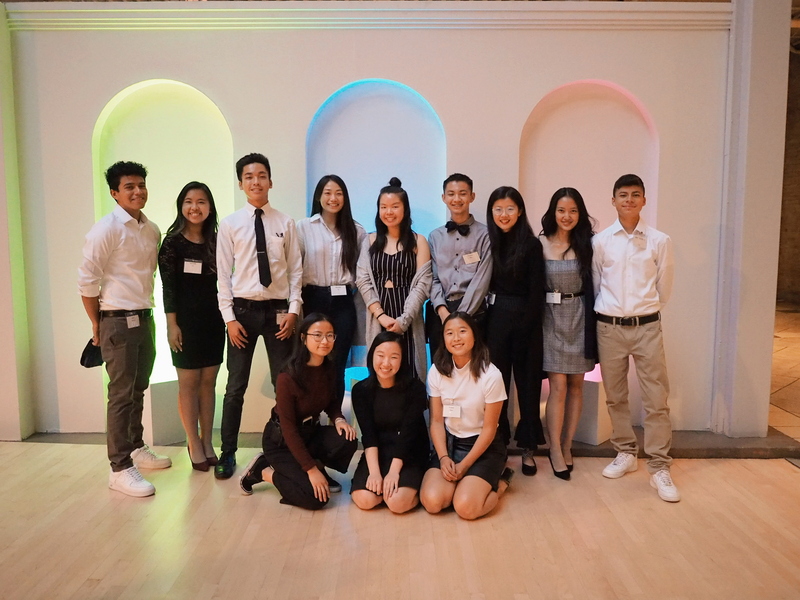 On October 11, 2018, our parent organization, Asian Pacific Islander Legal Outreach (APILO), hosted its 43rd annual gala at the San Francisco Design Center. The gala was attended by influential community members, APILO staff and board members, and of course, the Youth Advisory Council. This year, the Youth Advisory Council were approved a spot to speak out about this year’s gala theme, Hope Rising. We worked tirelessly to compose a speech, addressing issues such as the recent Brett Kavanaugh case. We mentioned how we are tired of the systemic oppression that still thrive in our communities, and how we are demanding for change using our voices and platform. This is a message we, as a collective, believe others needed to hear. We want people of older generations to know that even though we are still young, we are strong. We realize the power that we have in our hands, and that we are giving our all in making the community a better and brighter place. This was also an important moment for us, as youth, too, because we were finally heard. It was incredible to be given a chance to speak out about the fights we are battling. Other than delivering our speech, we also had other duties for the night. YAC members were separated into different sectors of the venue — some of us were stationed at our YAC table where we informed visitors of our program and our purpose, while others sold raffle tickets to attendees. Towards the end of the night, two of our members, Emily and Vivian, even walked to the various tables and helped our program earn some generous donations. While we worked, we met a lot of the APILO board members, as well as be familiarized with people from other organizations. It was definitely a fun night of mingling with the different people there. We all took away something from the night of the gala, whether it’s empowerment from being given a physical platform to speak out from, or if it’s being able to see the diversity of our organization as we socialized. This was definitely a night to remember and we hope to be given the chance to do the same again next year. This entry was posted in YAC News and tagged APILO Gala, community, community organizations, empowerment, future leaders, youth advocates, youth speech. Bookmark the permalink.